Lama Jangchub Rinpoche (b. ?) 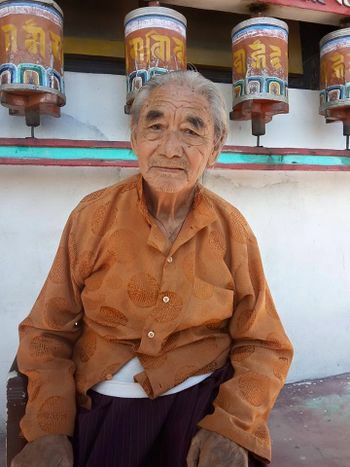 is a senior direct student of Dudjom Rinpoche and a main Dudjom Tersar lineage holder based in Zangdok Palri Monastery, in Kalimpong, India. A very humble man, Lama Jangchup Rinpoche is living with his family near the monastery. This page was last edited on 25 April 2017, at 13:10.